Delahaye was a French automobile manufacturer founded by Emile Delahaye in 1894. His first cars were belt-driven, with tiny rear mounted single/twin-cylinder engines. One of the companies most notable achievements was the invention of the V6 engine in 1911. The 3.2-litre twin-cam engine design was credited to the companies chief design-engineer Amadee Varlet and fitted to the Type 44. The model proved unsuccessful however and it would take until 1935 for Delahaye to produce a car of note. The sporting 3.2-litre T135 Coupe Des Alpes caught the publics eye and proved its sporting prowess with an improved 120/130bhp T135MS winning the Le Mans 24-Hour in 1937 and 1938. After the war, Delahaye, like many other French luxury car makers, struggled in the depressed post war French economy. In an attempt to address their fortunes the new Delahaye 235 was unveiled at the 1951 Paris Auto Salon. The aluminium ponton body was prepared by Italian coachbuilders Motto and penned by Delahaye’s chief designer Philippe Charbonneaux. With a 3557cc engine and triple Solex carbs, the 152BHP Delahaye 235 was capable of 170kph. As was common with many luxury French manufacturers of the time, body production was carried out by independent coachbuilders. 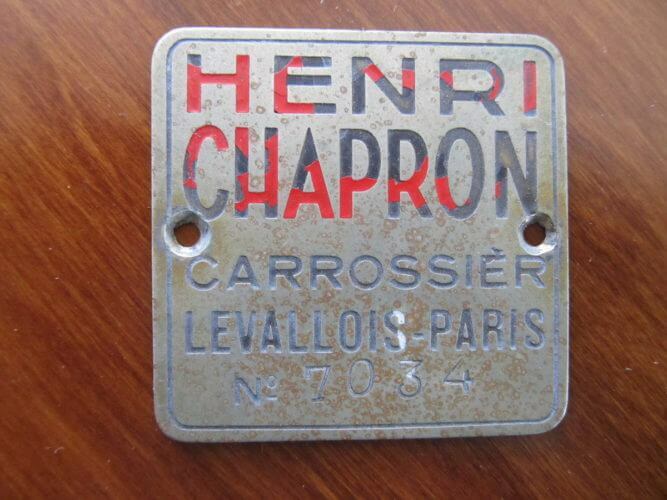 Production of the expensive 235 was by the likes of Chapron with one off coupe and cabriolets also produced by Ghia, Graber, Saoutchik and Faget-Varnet. Despite the elegant lines and luxury image of the 235, sales were poor and heaped more financial pressure on the struggling firm. In 1954 Delahaye was sold to Hotchkiss, bringing an end to the French marque. Only eighty five Delahaye 235s were ever produced. 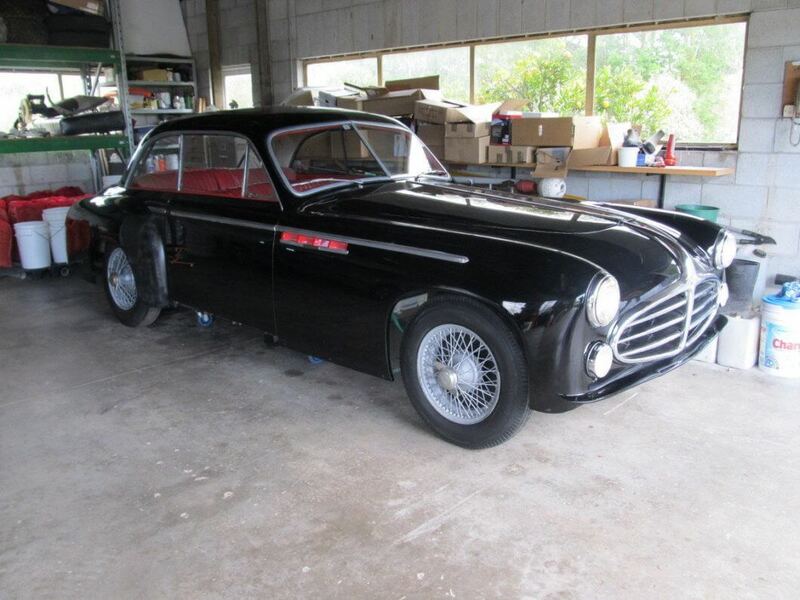 Offered for sale is the body of a 1953 Delahaye 235 with coachwork by Chapron. It is said to have been a 1953 show car which is supported by an email from Noelle Chapron-Paul. The listing states that this is body number 7034 and was made by Henri Chapron. 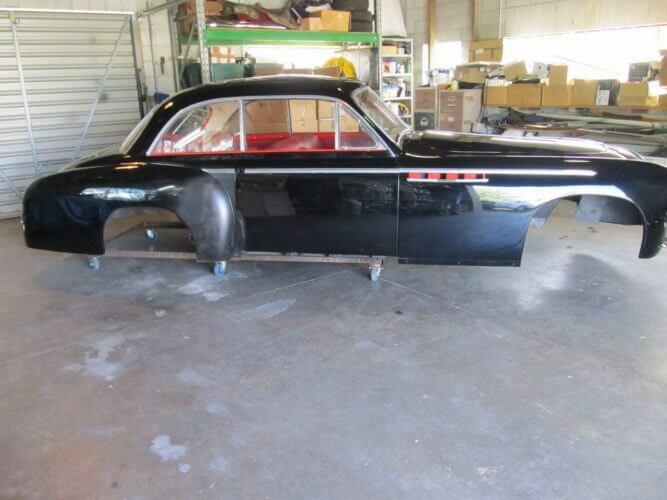 The seller notes that the body has been restored in recent years and has had minor repair on the forward edges of both rear wheel guards. This repair has been primed but not top coated. The body comes complete with all glass and upholstery, bumpers, fuel tank, heater, wiper motor, radio, boot hinges, door locks and a collection of other parts. The sunroof is said to be in working order. Little other detail is provided apart from stating that the cars running gear was apparently used in another project. The Chapron coachwork on this 235 is beautiful. A fine example of 1950s French design. You can see where the rear arch has been repaired. All the glass is intact which is a plus. The leather seats look very nice indeed. The daylight to the right is a reminder that there's no chassis with this car. The 235s body number badge. A selection of some of the spares. A jigsaw puzzle with an awful lot of the pieces missing. Comparing this Delahaye 235 with our previous Talbot Lago T26 feature, it is another project for those with a lot of patience and very deep pockets. 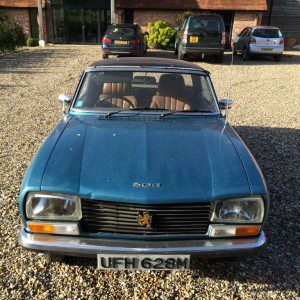 At least with this 235, the bodywork has not been abused and looks to be in pretty reasonable condition. The famous Delahaye wide mouth grill is present as are the bumpers and most of the bright work appears intact. However one cannot ignore the blatantly obvious. It is a great shame for such a rare car to have lost its chassis, engine and transmission. 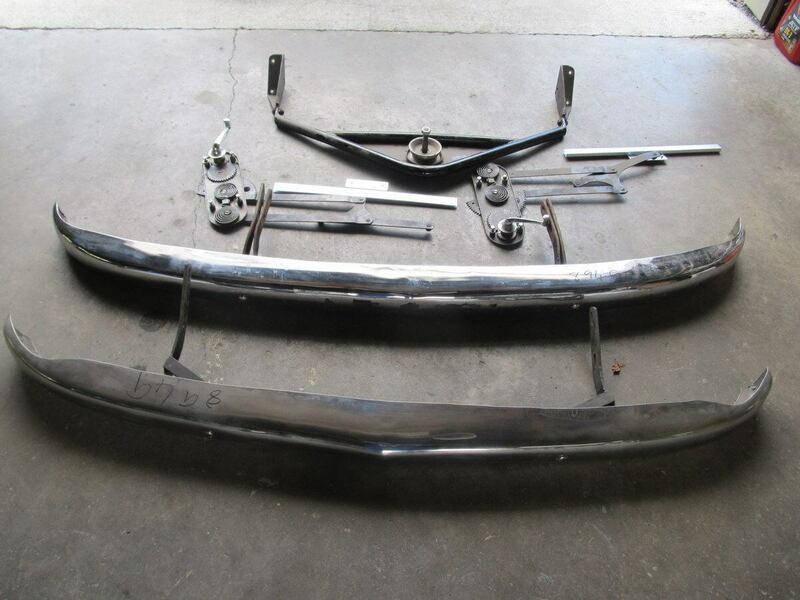 Sourcing a new chassis will not be an easy task and will likely have to be fabricated from scratch. Then there’s the engine and transmission. Finding Delahaye replacements won’t be easy and we expect acquiring these will be nigh on impossible. Then there’s the dashboard, the gauges, steering wheel… the list goes on and on. However it does present the new owner with a blank canvas. The options here would really depend on how much money you are comfortable throwing at it. 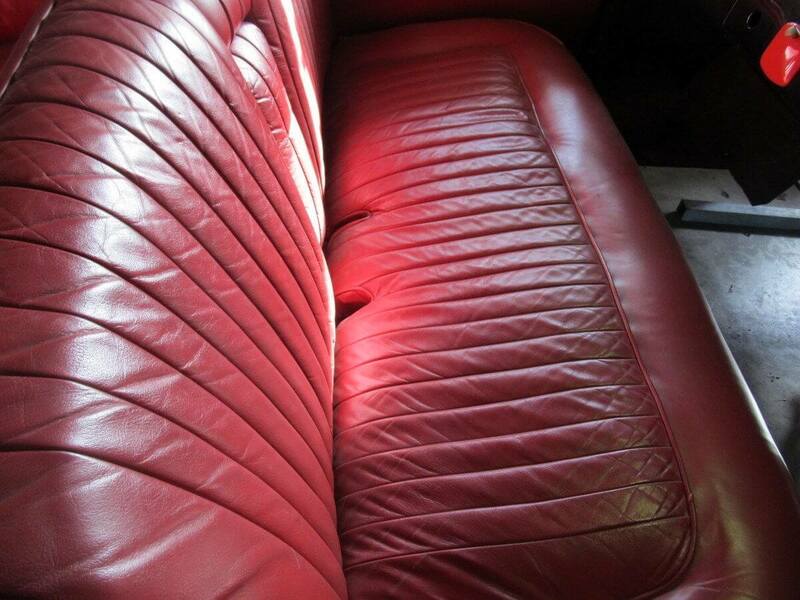 We immediately thought about Jaguar styling chief Ian Callum’s Jaguar Mk2 3.8. This custom build caused a bit of a stir when unveiled last year and is a showcase in taking a classic design and improving it with modern enhancements. 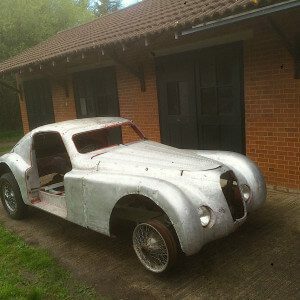 While nearly all 235s were unique, there is a real opportunity here to build an exceptional one off version using modern components, much like with Ian Callum’s Mk2. So you could drop in a big bore Jaguar 4.3ltr straight six, independent suspension, five speed transmission, electric power steering, disc brakes all round, air conditioning… you name it. If we were doing a build like Callum on this Delahaye 235 and failed to source a Delahaye engine, we’d actually opt for a Alfa Romeo 6C 2500 2,443cc engine instead. We think an engine like this is more in keeping with an elegant tourer like the 235. It is also more in keeping with the coach built cars of that era, sourcing an engine from a coachbuilt, separate chassis designed car. We recently saw a restored 6C 2500 with a supercharger added, an option which would add some extra power to the 120BHP Italian straight six. Anyway… we could speculate here all day about what could be done with this rare beauty. With an immaculately restored 1953 Delahaye 235 MS Chapron Coupe selling for €126,500 at Bonhams Paris sale in February this year and an unrestored 1952 Delahaye 235 Chapron Coupe from Artcurials Baillon Collection making €100,000, it gives you an idea of what these cars are worth. And with Ian Callum’s Jaguar costing between £350,000 – £375,000, you now know roughly what the required budget would be. Better start saving! 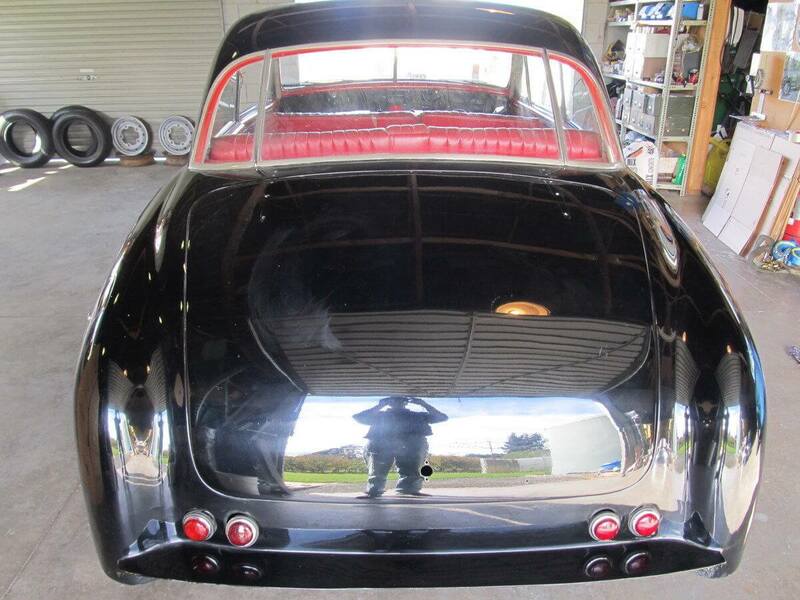 This Delahaye 235 Coupe is located in New Zealand and is currently at £10,000 with the reserve not met.